Depression has been called the common cold of emotional disorders. 20% of the population suffers from depression at some point in their lives. The causes of depression are varied and can be caused by physical or psychological health, as well as relational stress, personality, or one’s spiritual life. Depression itself is not a sin, though sinful behaviors or attitudes may lead to depression. It cannot be assumed that just because someone is depressed it is due to some sin or spiritual failure. Many godly people suffer with depression. Famous Christians throughout history have struggled with depression. St. John of the Cross described what he called the “dark night of the soul” as a spiritual dryness that some believers go through during some point in their life. 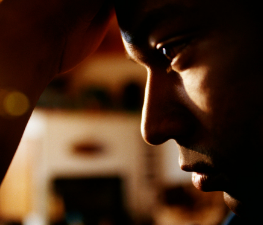 Depression can be caused and/or worsened by negative thinking. Cognitive behavioral therapy (CBT) addresses and helps change thoughts that cause and worsen depression. Find a counselor who specializes in treating depression, specifically a counselor who uses cognitive behavioral therapy (CBT). Working with a counselor or using a workbook on depression (see book recommendations), focus on identifying the thoughts that affect your mood, and develop positive patterns of thinking that are realistic, rational, and redemptive. Find compassionate family members and friends you can reach out to when you need encouragement and support. Implement self care of the body and soul through proper exercise, diet, meditation, prayer, and getting enough sleep. Talk with your doctor about antidepressant options, as well as testing for underlying medical conditions (like hypothyroidism) that can affect mood. Gingrich, Fred, and Heather Davediuk Gingrich. “Mood Disorders.” The Popular Encyclopedia of Christian Counseling, edited by Timothy E. Clinton and Ronald E. Hawkins, Harvest House Publishers, 2011, pp. 205–208. Tan, Siang-Yang, and Michael Lyles. “Depression and Bipolar Disorders.” Caring for People God's Way: Personal and Emotional Issues, Addictions, Grief, and Trauma, edited by Timothy E. Clinton et al., Nelson Reference & Electronic, 2010, pp. 143–159. Written by Tres Adames © 2019 Arizona Christian Counseling LLC. All Rights Reserved.